Shifts in packaged tea signal a changing landscape ahead for grocery tea shelves. 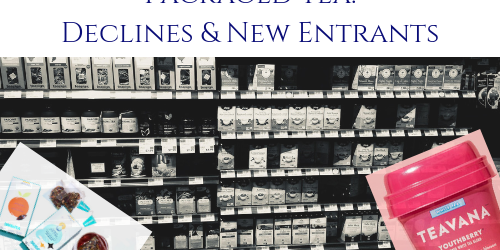 Sales declines and new entrants suggest that traditional, price-focused teas will continue to lose ground to specialty and functional teas. A quick look at the highlights helps reveal the trajectory of packaged teas. Progressive Grocer’s 71st Annual Consumer Expenditures Study showed packaged tea down by 4.1% in dollars and volume over the previous year. In this midst of a decline in sales, Starbucks opts to enter the foray with Teavana teas. 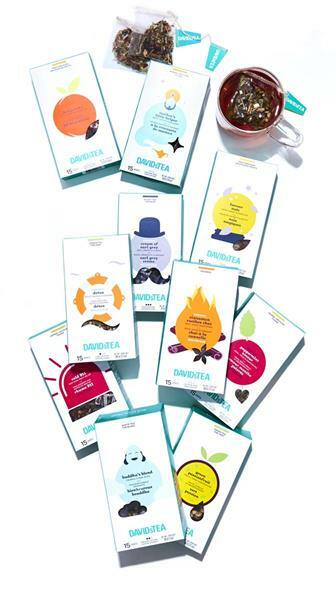 Concurrently DAVIDsTEA entered a deal with the largest grocery chain in Canada. 1. Grocery shelves are inundated with underwhelming and/or lookalike teas. Supermarket shelves can easily display dozens of tea brands, many of which can easily be traditional, low-cost black teas. The fight to stand out from the crowd is intense. 2. 80% of U.S. households have tea. Packaged teas already have a presence in U.S. homes. Teas like Teavana’s and DAVIDsTEA’s offer distinctive flavors and more premium quality that can be conveniently picked up at the supermarket. 3. While most tea in the U.S. is consumed iced, hot teas and specialty teas continue to make gains. For Starbucks and DAVIDsTEA, getting onto the store shelf gives their specialty teas more reach. Even though groups like Millennials are as likely to drink tea as coffee, they may be reluctant to order tea at a coffee shop. There is less perceived value-add to an out-of-home cup of tea compared to a barista-prepared coffee. Getting Teavana and DAVIDsTEA into the home should extend these brands’ reach, but could also dilute brand value. Now their locations are serving “grocery store teas” that consumers can just as easily enjoy at home – some of the perceived value of the tea may have been lost. 4. When possible, these brands tend to avoid saturated and overly competitive segments. Starbucks and DAVIDsTEA concentrated more on herbal teas, chai, green and white teas- avoiding some of the familiar black teas, like English Breakfast. This trend is also apparent in other retailers. Target & Amazon both have tea lines emphasizing functional and specialty teas. Amazon’s line, for example, offers more unique and functional offerings, with names like Throat Comfort, Pu’er Pep, Cinnamon Dreams Rooibos, and Wrangle The Mango Oolong. Great example of content marketing with insights that provide value to readers beyond promotion.